Broadcast and Media companies today require working under pressure to offer the audience the exact content they want to watch on their platform of choice. Considering this background, having an efficient system to control the quality of content is not a choice anymore, but a vital need for this type of companies. VSNQC module is capable of detecting technical errors that affect media files in each and every stage of their life cycle, and that usually are inaccurate and go unnoticed when developing manual processes. This way, VSNQC offers exhaustive information about content quality, warning users about any error that must be corrected and thus, ensuring a minimum quality standards for broadcasting. VSN’s tecnhology supports most standar formats available in the market, including HEVC for compressed 4K content. VSNQC is capable of analyzing multitude of parameters about the file format, audio quality and/or video quality and frame, including some of the most requested by companies such as blackness, freeze or blockiness and blurry images; field dominance error; field order; audio clipping; digital dropouts; luminance and chrominance line errors; or interlacing artefacts. All these parameters can be checked through graphic timeline charts with detailed frame view just with one click. VSNQC technology allows simultaneous content quality tests of multiple audio and video sources in parallel, that can be customized very easily. In addition, its ability to perform iteratively analysis allows the same quality process to be repeated several times, by analyzing once and changing your threshold multiple times. This way, analysis time gets reduced below real time, and brings immediacy to users. Suitable for both small and large corporations, VSNQC is a cost-effective and profitable system for content quality control that perfectly fits any budget, thanks to its adaptability to all sorts of business models either onsite or Cloud work environments. VSNQC is an open and flexible system, integrated with VSNExplorer MAM solution for media management. It is also scalable depending on each company’s needs, and allows an easy integration with other third-party systems via API. This system allows to create or combined previously saved customized templates to perform faster and recurring analysis on different profiles and projects. VSN’ Quality Check system fits perfectly all types of companies and their needs in terms of quality control and management. Either for small or large corporations, its modular architecture and web-based platform allow it to run well both in on-premise work environments or in “Software as a Service” (SaaS) business models in the Cloud. 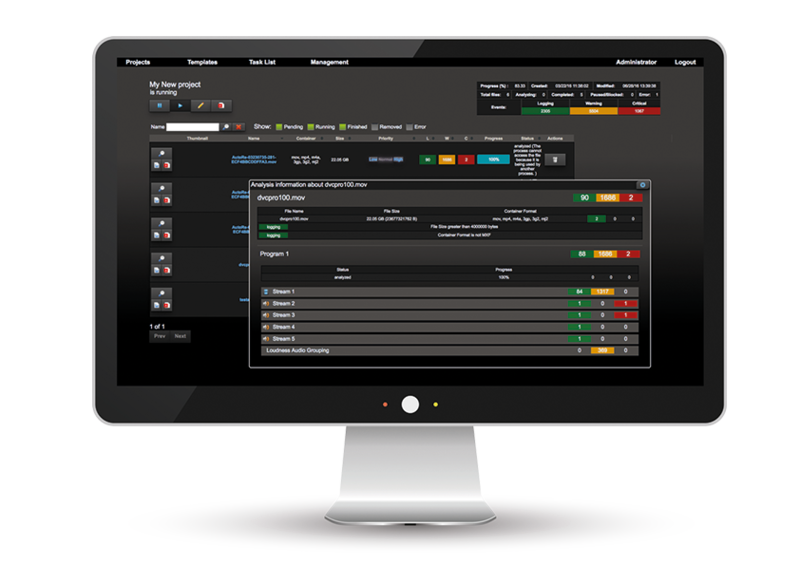 Discover all the functionalities offered by VSN’s Quality Check system to control the quality of all media content. 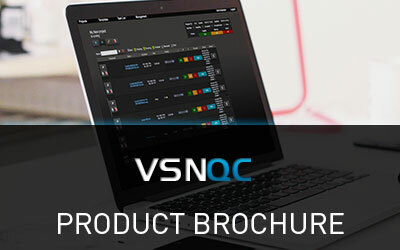 Do you want to see our VSNQC in action?